What types of credits are offered by banks to companies? 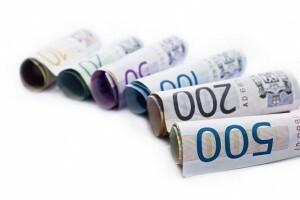 Blog Archive » Finance in answersWhat types of credits are offered by banks to companies? What types of credits are offered by banks to companies? Credits play a very important role inevery modern economy, because they supply real businesses with fresh money and stimulate both production and consumption. Every dynamic economy has a high level of credit activity. It has been especially intense in the last few decades – in times of strong development of financial markets. That development is followed by explosion of financial innovations, so modern management of every bank is continuously forced to reconsider its business strategy and products offered - especially credits. There is no bank that offers only one type of credit. The numbers and types of credits mostly depend on business and strategic orientation of the bank. Let’s take a closer look at the types of credits that are most common in commercial banking industry. A short term loan for working capital is a type of credit used mostly to finance occasional needs for operating capital. Every company sometimes faces problems with working capital that are caused by the lack of inventories and lack of cash. This type of credit should basically provide support for liquidity and profitability of the company. Management can take this credit as a part of defensive strategy in times when a company is not able to commit its current obligations (especially when other companies are temporarily unable to fulfill their obligations for this company). It can also be used as a part of offensive strategy when it has been determined that investing in more operational activities will generate more profit to a company. Long term loans are used to finance fixed assets and working capital. Unlike the short term loans for working capital, the maturity of long term loans are set for years. These types of credits are mostly acquired at the foundation of the company, but they can also be taken later if the company meets criteria set by the bank. The long term loans can have maturity arranged even up to 30 years. Revolving credit is a kind of credit offered with specific guarantees given by the bank, where payment of the credit can be done at any time of the credit period. The beneficiary of such credit can make payments according to its own possibilities and plans. The repayment of any amount of such credit usually allows to borrow exactly the same amount later and so a good example of revolving credits used by consumers are credit cards. However, the borrower is in obligation to pay interest rates regularly as it is precisely described in the contract. The interest rates can be paid monthly, quarterly, or another frequency articulated in the agreement with the bank. Revolving credit is very popular among people running small businesses, and they use it quite often to finance working capital. Of course, this type of credit can be used for other purposes such as financing different kinds of projects or for keeping liquidity in balance. The maturity of the revolving credits ranges from 1 to 3 years. It is worthwhile to mention that the main idea behind revolving credit is an automatic renewal of the contract on the same conditions. The borrower can always utilize the agreed upon amount of money, paying interest only for the exact amount he currently owes. If the credit is set to $10000 and the borrower currently owes $5000, he pays interest on the borrowed $5000 and can take another $5000 any time. There is one more type of credit that is mostly of interest to managers of companies who are intending to make acquisition of another company. This credit is called credit for financial restoration or repair credit, and its purpose is to give financial support to the acquired company. This allows more flexibility for better reorganization of management, reconsideration of the new strategy, or investments in new technologies that will raise the company’s productivity to a higher level. ← What are the most common styles of leadership?